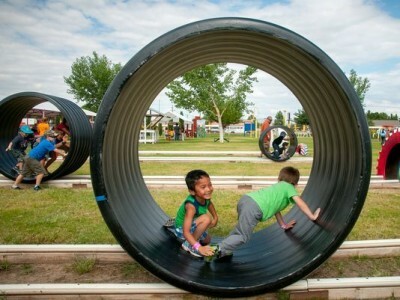 LAS CRUCES – The nonprofit New Mexico Voices for Children is probably best known for the annual reports showing that the well-being of the state’s children is near-last in the United States. But the Albuquerque-based group is also looking for possible solutions to the problems — the focus of an inaugural conference it hosted along with another nonprofit Thursday in Las Cruces. About 100 people attended the event, called the Southern New Mexico Kids Count Conference, as part of a burgeoning effort to improve the lives of children in the high-poverty county. 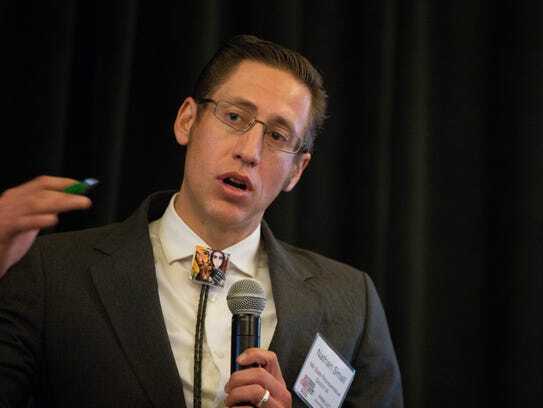 Frank René López, outgoing executive director of Ngage New Mexico, the local nonprofit that helped to host the conference, said it’s “quite significant” the event has come to southern New Mexico and that so many people involved in child issues attended. At issue is that many people don’t realize the impact that poverty in families has on young children, whose early years are crucial to brain development and success later in life. In Doña Ana County, there are about 15,300 children under age 5, said Erica Surova, data analyst for the New Mexico State University Center for Community Analysis. About 45 percent of them are living under the poverty level, which is a yearly income of about $24,600 for a family of four. One way to counter this, she said, is by boosting participation in early childhood education. Now, just 5,556 children countywide have access to free or subsidized care programs for young children, meaning more than 9,600 who are in need don’t have it. “Really what I believe we need to focus on is looking at the opportunity gap,” she said. Affordability isn’t the only problem, Surova said. There also isn’t enough capacity among existing childcare programs, especially those rated as high-quality, to serve the population. The poorer, more rural areas of the county tend to have lower-quality care programs. Attendees watched an hour-long documentary film, called The Raising of America, that illustrated the struggles of parents in poverty, such as not being able to take maternity leave after a child is born because federal law doesn’t mandate paid leave and not being able to afford child care. It also discussed the research behind child development: the number of words a child knows when he or she is 2 or 3 years old predicts how the student will be reading in third-grade. And the third-grade reading level predicts whether students will graduate from high school. “If we don’t do this collectively, literally thousands of children’s brains are not developing the way they could,” López said. 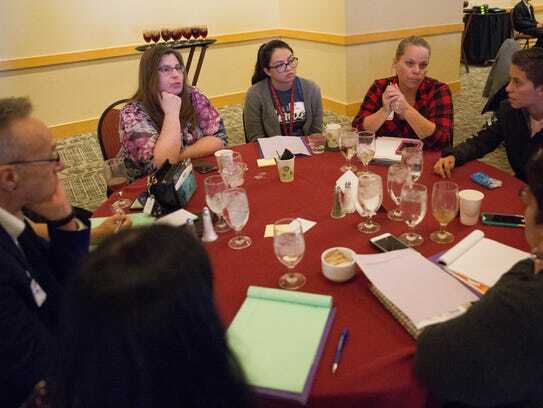 Vanessa Mendez, a program coordinator for Ngage, said she found the conference insightful not only because of her job but because she’s also a single mother of a 2-year-old. She’s had difficulty accessing childcare in the past, though she currently has a program for her son to attend. The possible solutions discussed and the people in the room Thursday could affect her son’s life in the future. “These are the people who could influence what those systems are like,” she said. Locally, Ngage has helped to form the SUCCESS Partnership, an effort among parents, teachers, nonprofits and businesses to improve education and well-being for children. 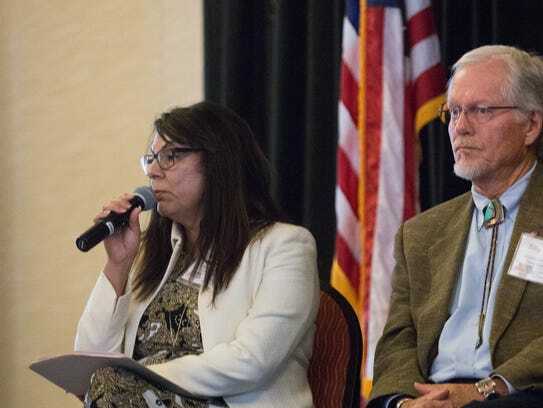 A panel of elected officials that addressed attendees included City Councilor Gill Sorg; City Councilor Kasandra Gandara; Doña Ana County Commissioner Billy Garrett; state Rep. Nathan Small, D-Las Cruces; and state Rep. Doreen Gallegos, D-Las Cruces. Gandara, a licensed social worker and a retired manager for the state’s child protection department, said she’s open to considering the city funding early-childhood initiatives from its Telshor Fund, a $40 million fund the city established after leasing out the city-county-owned Memorial Medical Center to a private company in the mid-2000s. “I think this would be a good opportunity to start looking at this as a city,” she said. Gallegos said with the state’s already strained budget, it’s going to take tax increases to fund improved access to early childhood education. “Nobody wants to raise taxes, especially in an election season, but that’s how we’re going to have to fund it,” she said. James Jimenez, executive director of New Mexico Voices for Children, said the plan is to continue hosting conferences in southern New Mexico. “We’ll be back next year,” he said.